Students between grades 1 through 5 are encouraged to participate in the Become a Readasaurus reading club. To take part in this program, please contact your local library to obtain a brochure on the program or print out the document above. 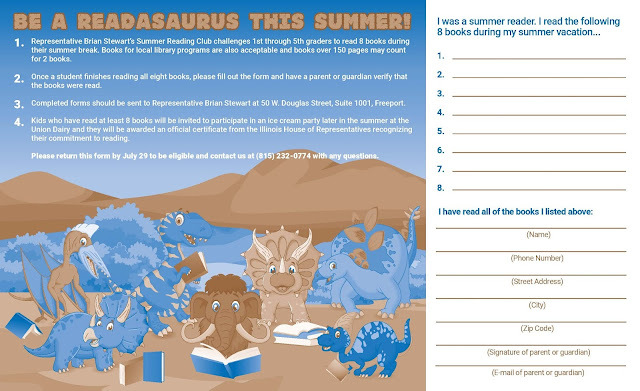 Participants will be asked to read eight books over the course of the summer. Readers who complete the program and return the pamphlet by July 29th will be eligible to participate in an ice cream party and will be presented with an official certificate from the Illinois House of Representatives. 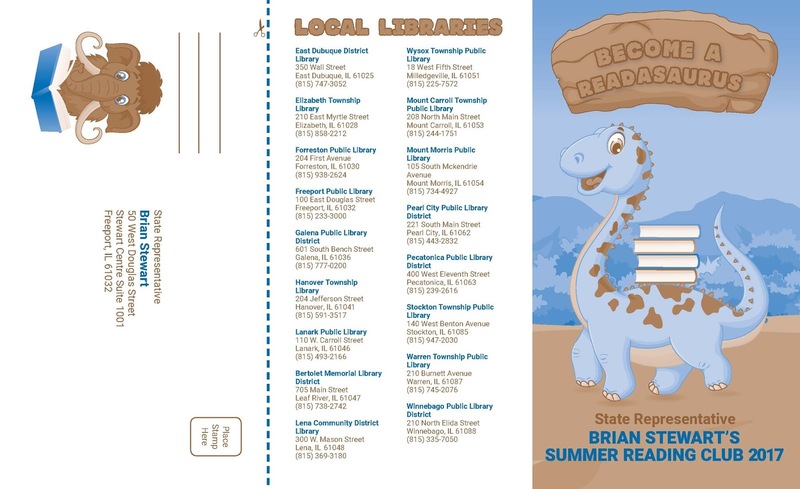 Materials have been placed at libraries throughout Northwest Illinois to make the program accessible to all children in the district, or you can print out the attached portion to get started today. If you have any questions, please contact our office at 815-232-0774.